Lazy behaviour and sleep patterns ensured that I wouldn’t make a coffee and breakfast discovery. I blame my vacation mindset. Nevertheless, this Tuesday will be busy in scorching heat. 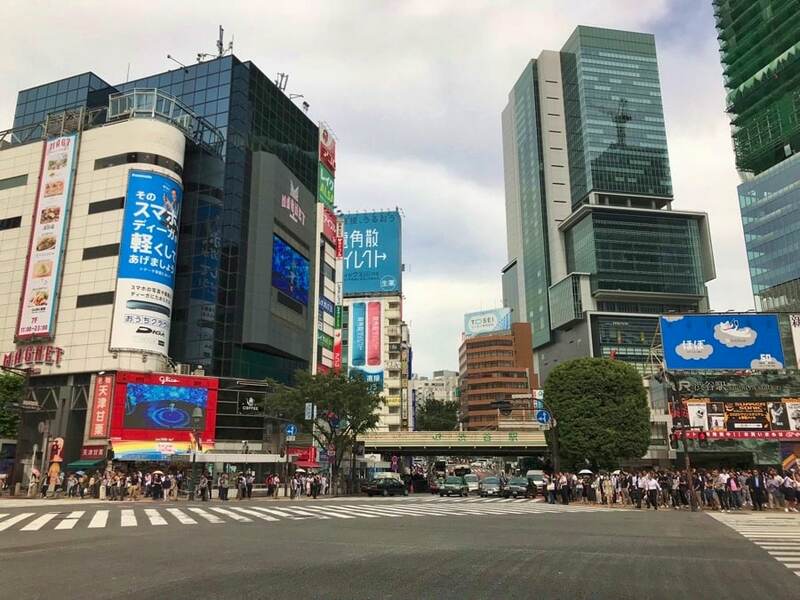 Forecasts say that temperatures will go up to 30 degrees in the afternoon and I am heading downtown to see what Tokyo looks like in the thick of the action. I have a long ride ahead of me since 50 minutes of public transport separate my breakfast joint from Shibuya. In the subway car, I see plenty of formally dressed office workers, many more in casual clothing and the odd Gaijin (foreigner) like me. One in 10 wear surgical masks here for all kinds of reasons, according to the googling I have done. Some do because they are afraid of germs. Others to avoid spreading them. A few like the psychological barrier that it creates with their surroundings. On the plane, it was recommended to avoid having a dry nose. I’ll have to try it to fight discomfort on the return flight. When I get out at the Shibuya station, I get a culture shock. 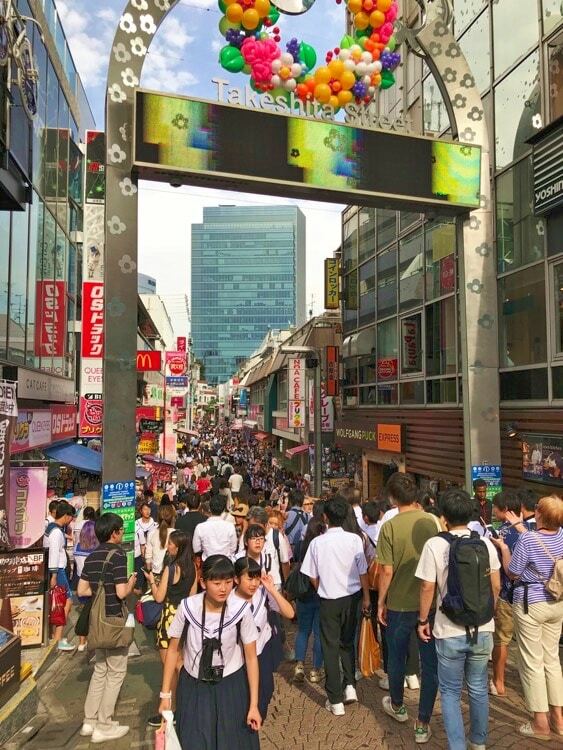 Tokyo’s most crowded quarters are even more commercial and more impressive than Times Square in New York! 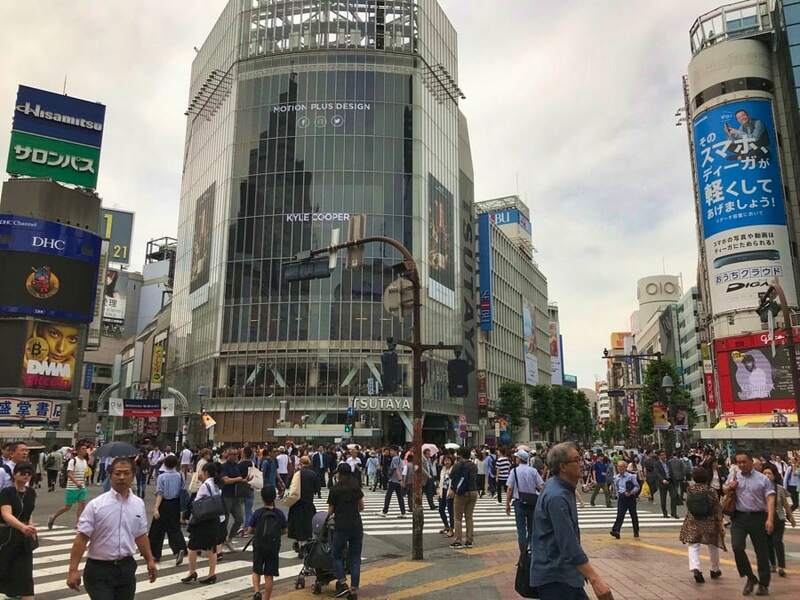 The famous Shibuya Crossing itself is gigantic. Every couple of minutes, hundreds of people cross an intersection from all directions. It’s crowded but orderly. People are aware of their surroundings and change directions quickly when they risk bumping into someone. Were this in the West, self-absorbed people would collide in the middle of the street and point fingers at each other. I walk along streets that bring me to the smaller but retail oriented district called Harajuku. This is where you can actually shop in peace. 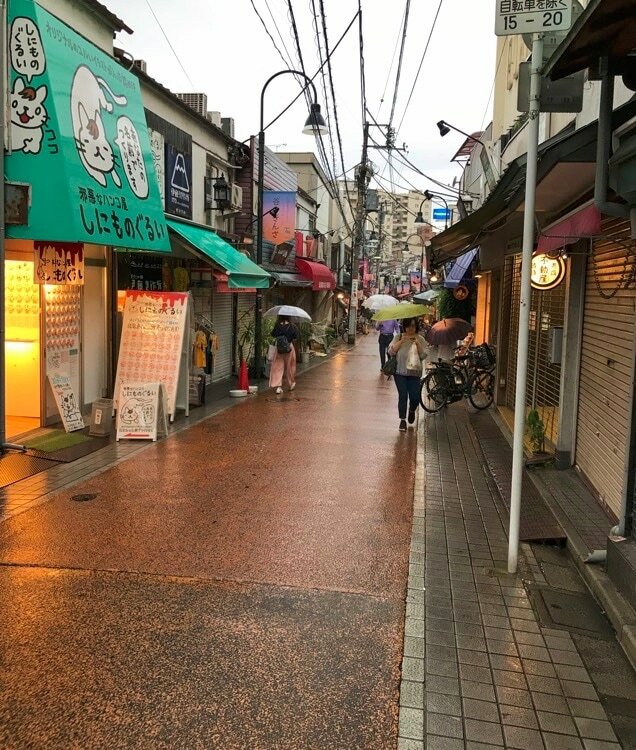 It starts with clothing and general goods and ends with the ecclectic Takeshita Street, where cute items coexist with coffee and pancake shops. 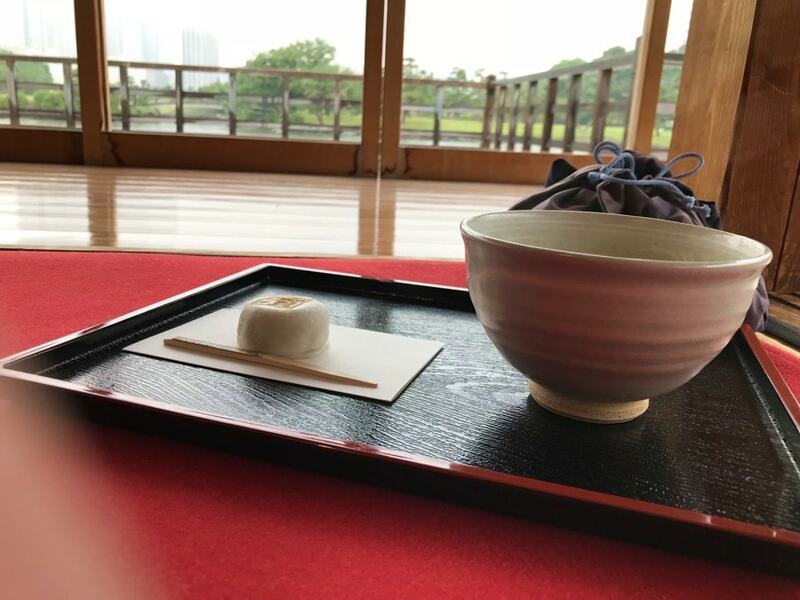 Tea is an important part of my daily routine and I find what seems to be the perfect spot right after going through Harakuju. Surprise, surprise! Black tea from Sri Lanka is on the menu. It pairs well with mint-chocolate cake. 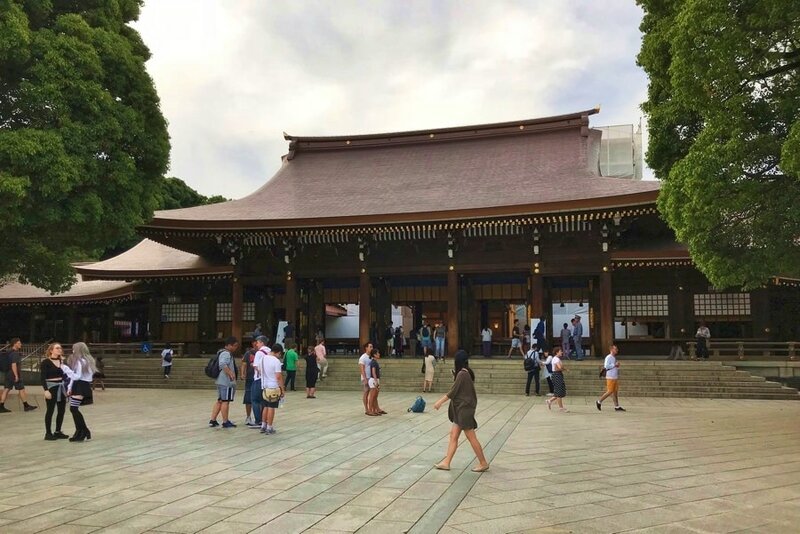 A few sights later, what may be the most beautiful visit of the day is the Meiji Shrine. 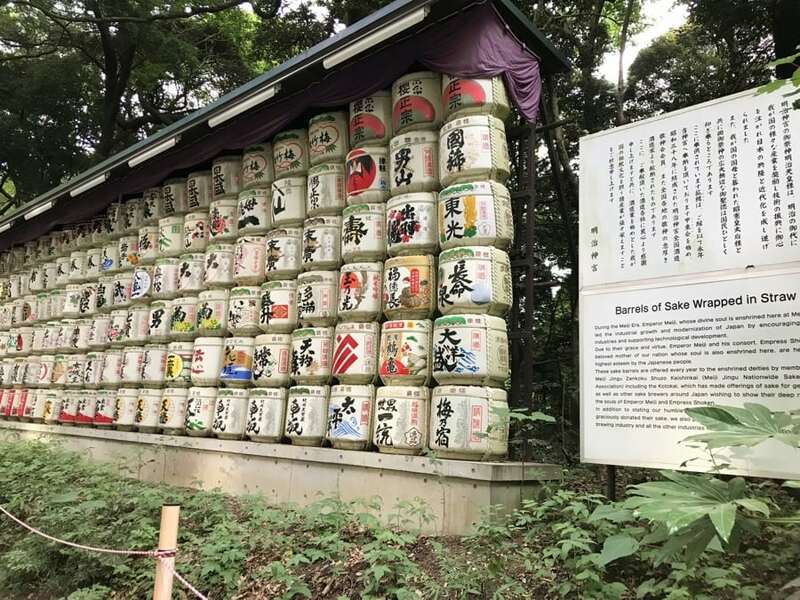 It is dedicated to Emperor Meiji, who sought to modernise Japan to bring its values closer to those of Europe in his time. He had a decisive impact on the history of the country and I always have a soft spot for the figures that acted as reformers. 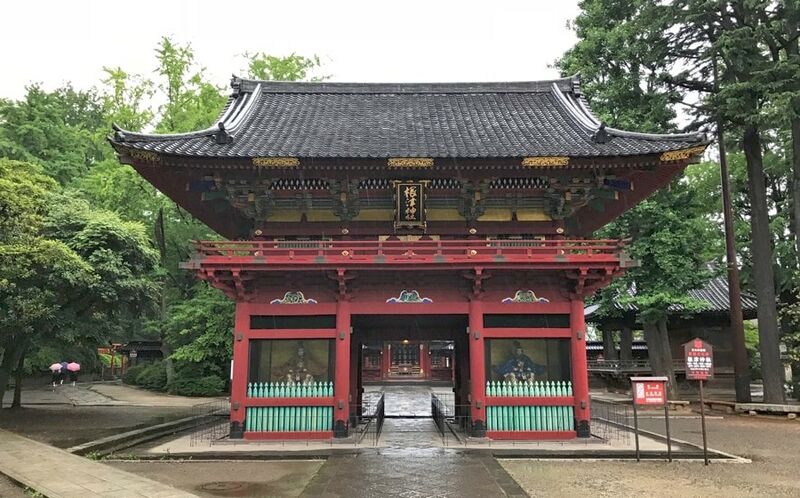 This shrine is popular, but well worth a visit. Near the end of the day, I have walked my way to the Shinjuku district. This is a nightlife as well as shopping quarter for most visitors, most of them Japanese. From megastores to narrow streets, to cute to typical local products, there is something for everyone. I personally chose to buy a pair of chopsticks that I will use in Germany whenever I cook rice and compatible toppings. I use a rice cooker, so don’t question my credentials. 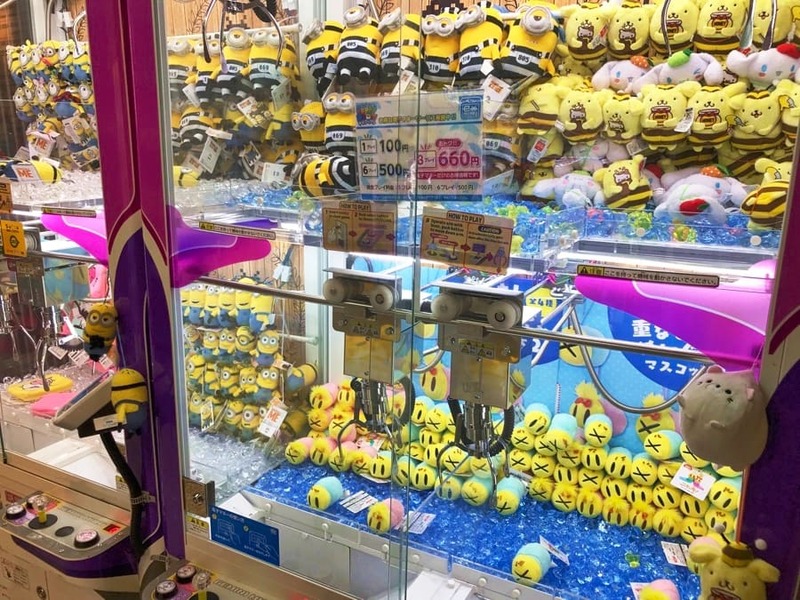 Cute is Big in Japan. Where to eat? 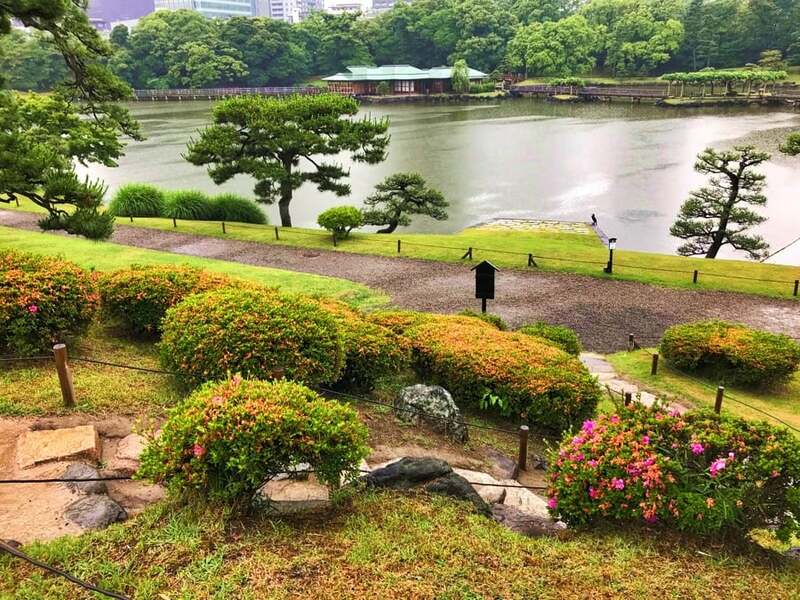 My trusty Lonely Planet guide recommends Nagi in this neighbourhood. 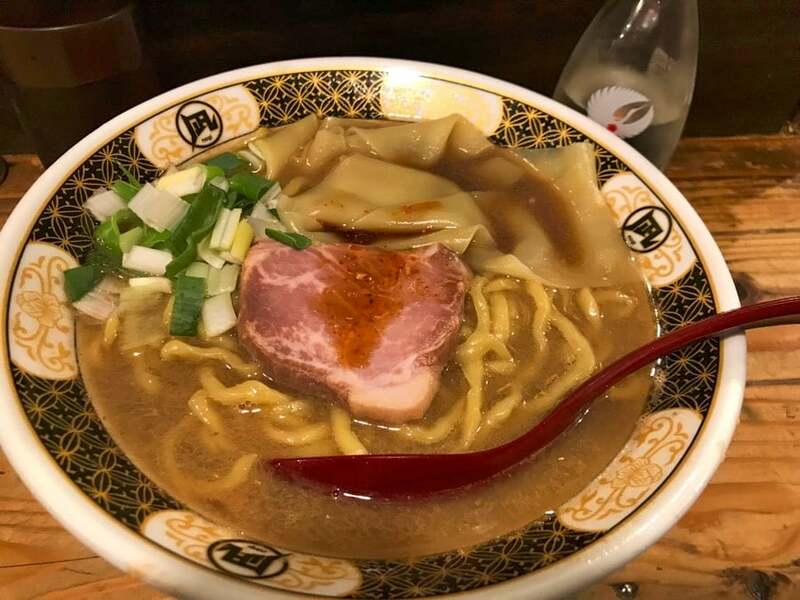 It’s a hole in the wall restaurant that serves one dish: ramen. I’m not talking about the cheap version we know from Western supermarkets. Real egg-based noodles in broth, with a piece of pork, some veggies and strong spicy flavour. It goes well with a moderate dose of cold and sweet sake! Noodling is serious business here. The beer snob in me isn’t gone, though. I did research and have found that a celebrated Scottish microbrewery has set up its own pub in Tokyo! 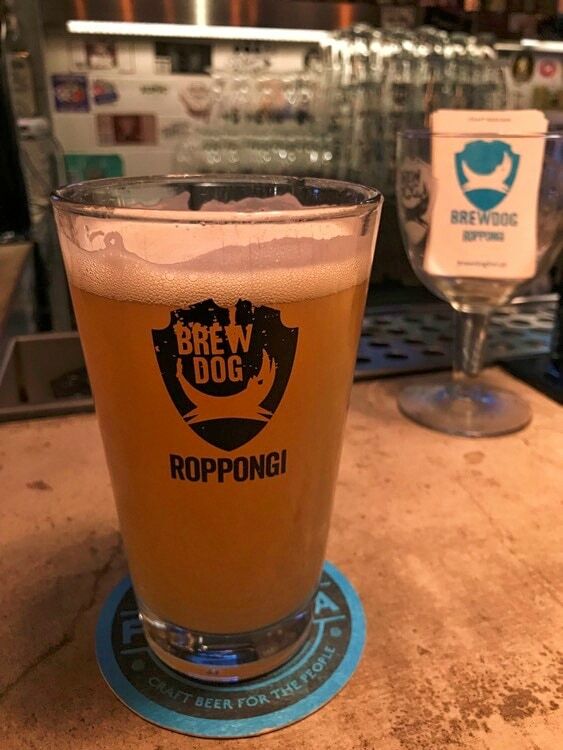 Brewdog makes one of the best India Pale Ales on the European market. I am always happy to down a couple of pints of that particular brew called the Punk IPA. Oh boy. I wake up earlier this time, around 9:00, but it’s raining outside. Nay, it’s pouring. It doesn’t matter. I will soldier on and visit everything that’s on my agenda, whether I get my feet wet or not. 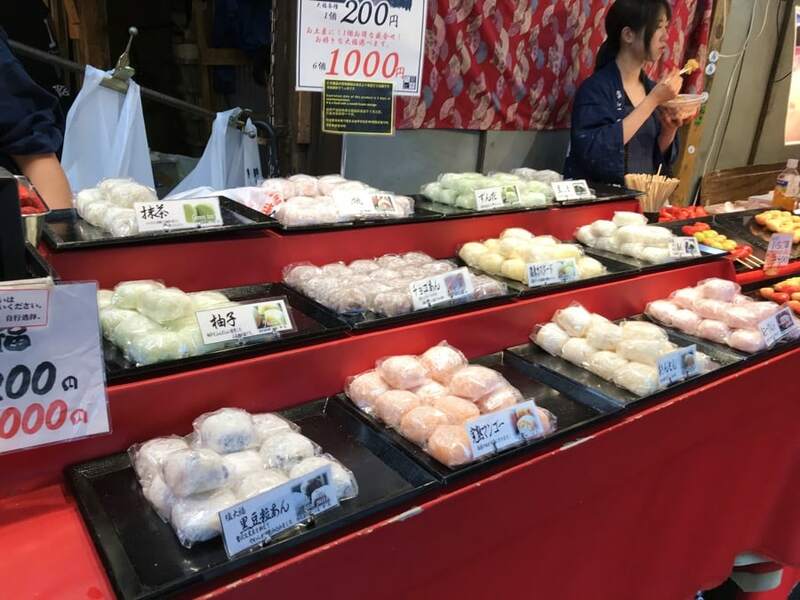 After a quick coffee and breakfast routine at the local joint, I head to the Tsukiji Market. This market is a two-headed monster. First, there is a massive fish market that supposedly is quite a draw. I’m not sure how massive warehouses with trucks going everywhere are that big a deal. 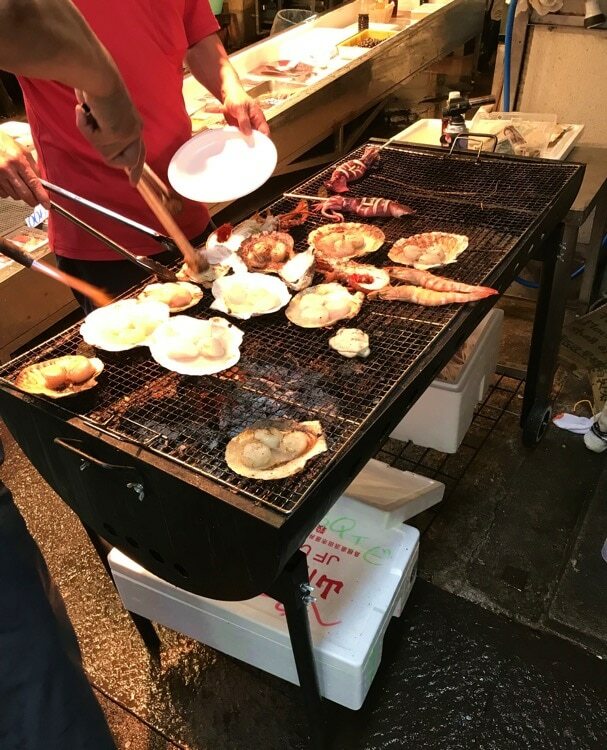 The second part is the Tsukiji Outer Market and I find it more interesting. A couple of blocks of narrow streets are populated by small vendors, street food, cafés and tiny restaurants. I end up buying sweets without knowing what they exactly are. All I know is that they are soft, chewy and tasty. The chocolate and custard flavours are heavenly. 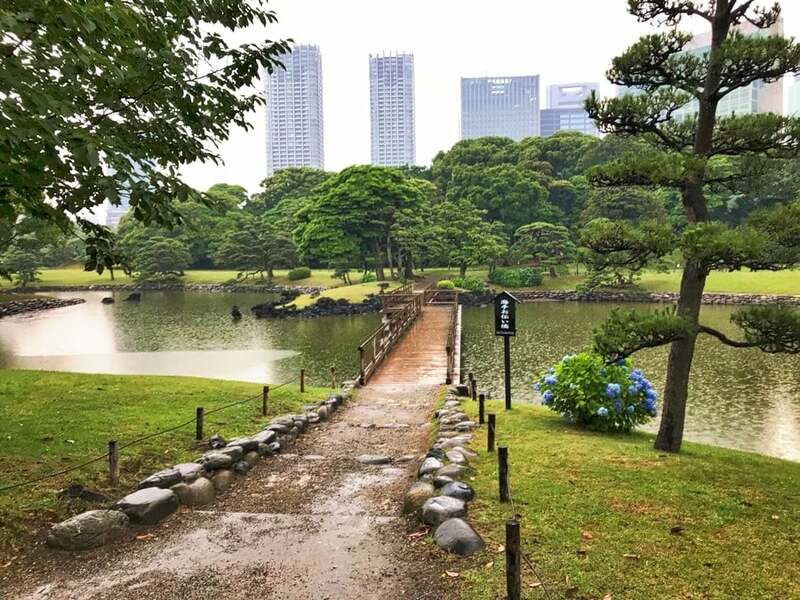 A few steps away from the market, I find the Hamarikyu Gardens on a former imperial site. A nice, calm place where few tourists go. The tea house hosts nothing but tourists, let’s admit it, but at least there are only a handful of people at once. 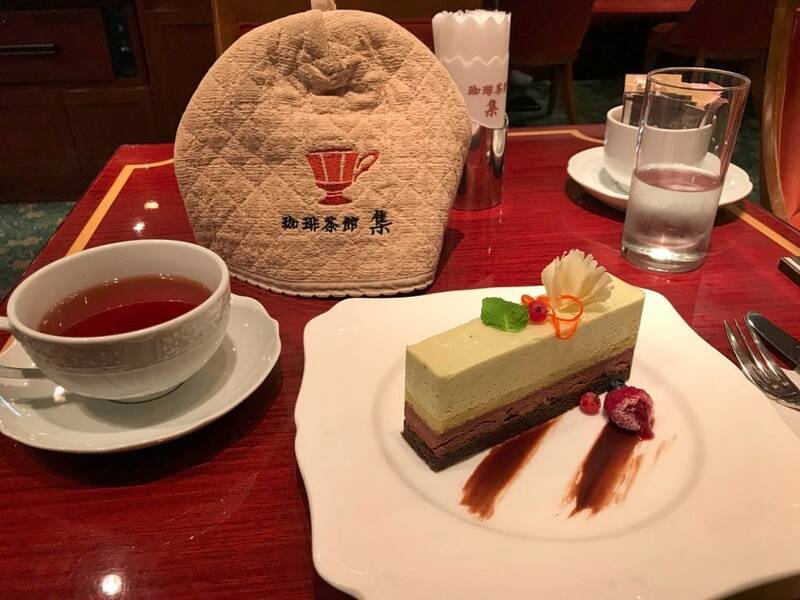 Green tea and a small pastry. Bliss. To further get away from other foreigners, I venture in lesser known quarters. 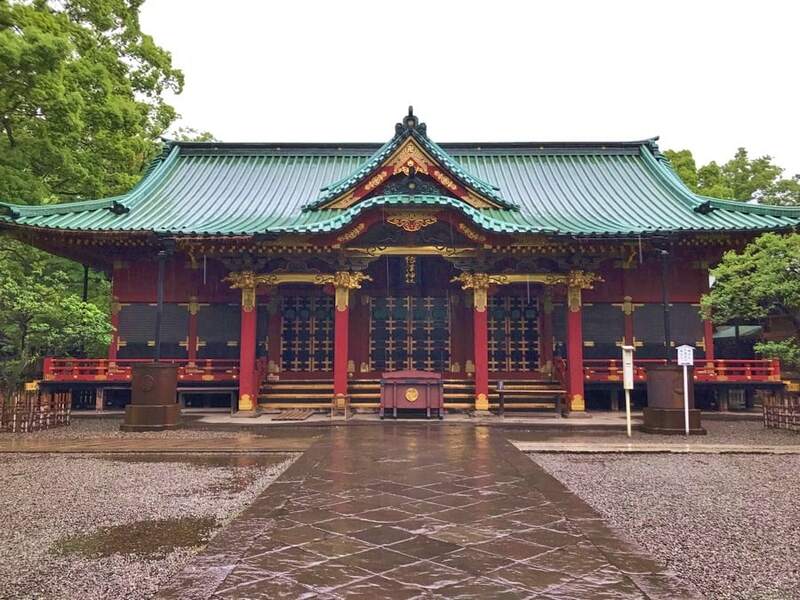 The Yushima Tenmangu Shrine is devoted to the spirit of learning and it’s colourful. The last stop is Yanaka Ginza. 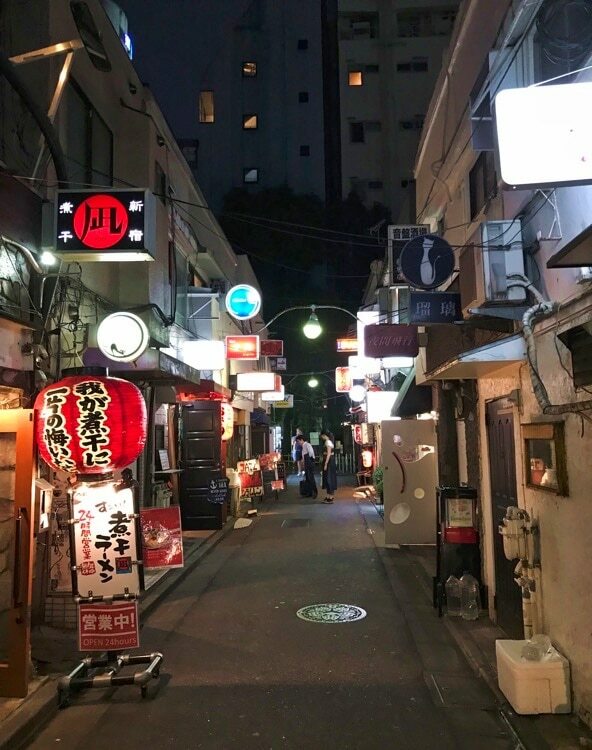 Apparently only popular with Tokyo residents, it brings you back to the 1950’s, back when a typical shopping street was occupied by small vendors, tiny restaurants and cafés. Not the most special place in the world, but it’s nice to see places where the hordes of tourists never go. Dinner? I kinda feel guilty about this one. Fish and chips at a local microbrewery is anything but Japanese, but I can at least say that I went there for more India Pale Ale brewed in Japan. 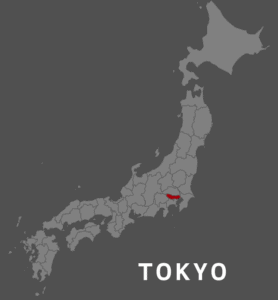 On Thursday, I will visit the places I missed since I arrived in Tokyo. That may include a special attraction.